Home Events Featured Infographics Source One News What makes for 25 years (and counting) of success? What makes for 25 years (and counting) of success? What do The Beatles, Dream Team, the 1985 Chicago Bears, and Source One have in common? I'll give you a hint: It's not their shared skill of eye-hand coordination or ability to compose a song. What all of these teams have in common is their ability to leverage their individual band / team members' talents, backgrounds, and skill sets harmoniously to achieve their goals. For Source One, our record books are a compilation of the results we've delivered for our clients, the milestones we've achieved as we expanded our services offering, a list of supply management accolades, and a continuously growing tool kit for procurement professionals. And while some may say the past 25 years of success can be attributed to great management or coaches - the truth is, our success is attributed to our talent. The individuals with unique, analytical mindsets and experience that make up our unmatched category expertise, all working together to help companies quantifiably improve their procurement operations. 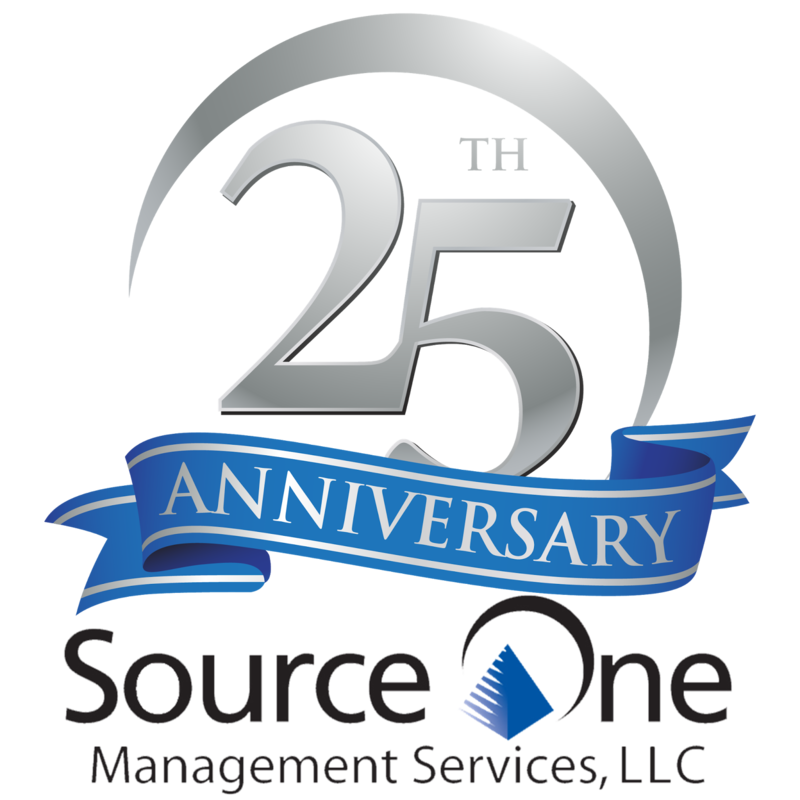 When we set out 25 years ago, our goal was never to become the largest procurement services firm.. Rather, Source One aims to be the best. With that vision, comes a commitment to quality and as a result, a demand for top talent. 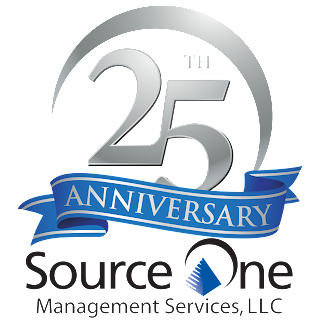 As we celebrate our 25th Anniversary, we're honoring the incredible talent that sets Source One apart. The talent that delivers results for our clients day-in-and-day-out, shaping our service offering, and impacting the industry. Each month we're showcasing our team members' stories in our Source One Beneath the Surface series to give you glimpse into our secret recipe for success: our talent. 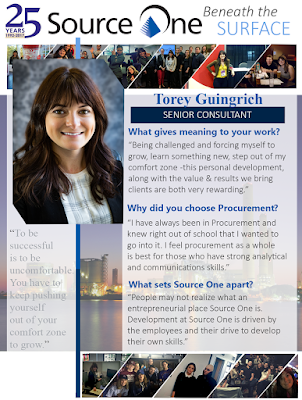 Learn more about their diverse backgrounds and talents that all contribute to Source One's company culture and client experience. 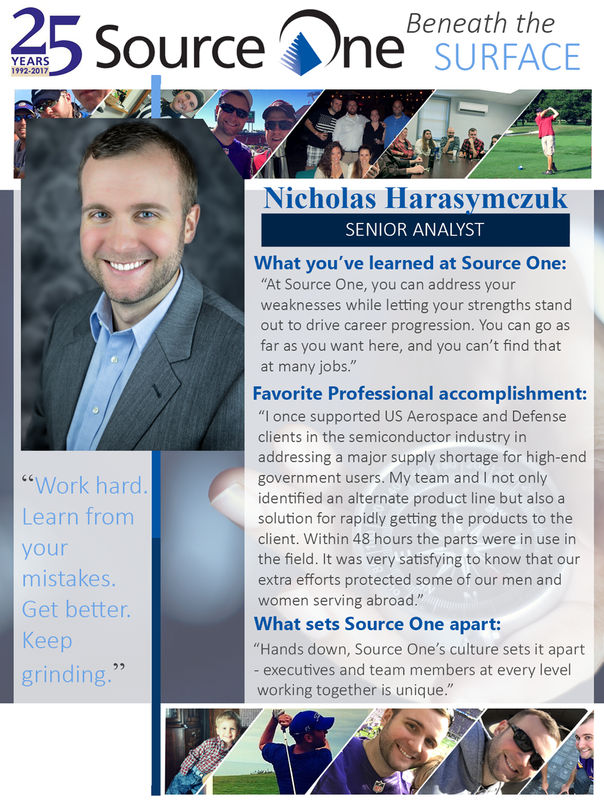 This week, we present to you Senior Consultant, Torey Guingrich and Senior Analyst, Nick Harasymczuk! Click on their Beneath the Surface profile to learn more about these strategic sourcing experts!